Nobody was injured, junior interior minister Laurent Nunez said at the scene, adding: "It's too early to determine the causes of the fire". Notre Dame, one of the world's most visited landmarks, was constructed in 1163 during the reign of King Louis VII and was completed in 1345. Built like a "poor people's book", the cathedral's exterior featured sculptures and reliefs illustrating the stories from the Bible - for example, the western facade facing the square showed the Last Judgment - as well as gargoyles and other monstrous creatures. 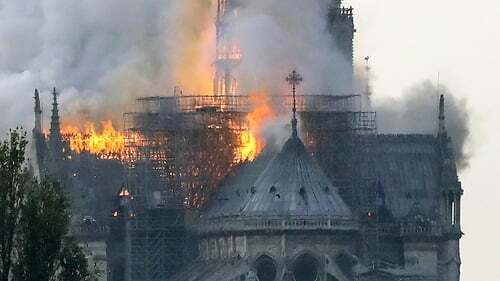 "Happy and unfortunate events for centuries have been marked by the bells of Notre Dame". It was vandalized in the 16th century by Huguenots and was used as a food warehouse during the French Revolution. Additional cleaning and restoration work was done in the 1960s and again in the 1990s.